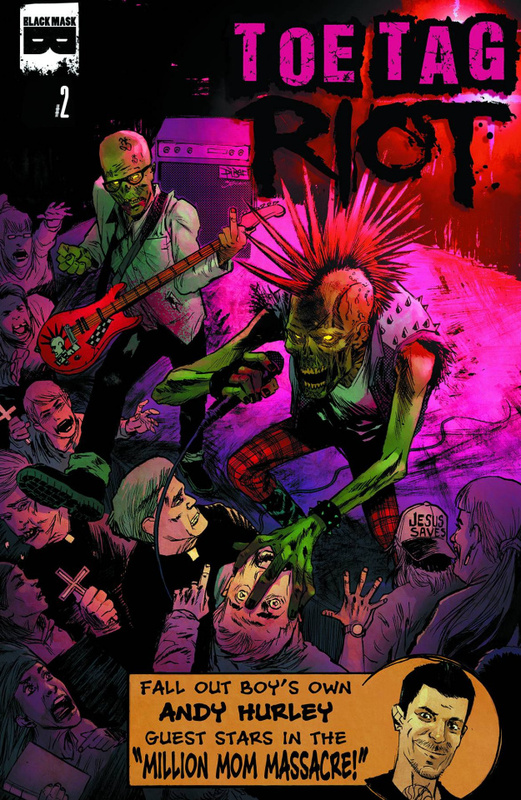 Picking up in the middle of last issue's explosive Nazi skinhead slaughter, our sometimes-zombie punk rock heroes Toe Tag Riot head out on tour for their next concert, where they find a joint protest by One Million Moms and Jerry Falwell's Christian Coalition picketing the band's inclusion of lesbian couple Annie and Evie. The protest turns south as the zealots rush the stage! Fall Out Boy's own Andy Hurley guest stars and finds his inner hero - but at what cost?